"To the Christian, there is no such thing as sacred and secular...everything is sacred." That phrase stuck with me throughout the whole conference and continues to resonate with me today, especially seeing that I am currently and will be in academia for a while. I took that phrase to mean that as Christians, our entire lives are dedicated to glorifying God. Therefore, regardless of what we "specialize" in (e.g. medicine, science, education, law, etc...), our approach to and usage of those skills must first and foremost be a reflection of our relationship with God. During this and other graduate student seminars, we discussed how many (if not all) of the subjects we study in school (i.e. physics, chemistry, psychology, philosophy, biology, etc...) are simply attempts to further identify, analyze, and explain God's creations. One of my favorite disciplines besides education is psychology, and the more I learn about social and developmental psych (my particular interests within psych), the more I realize that the principles discussed and researched are the same as those emphasized in the bible (i.e. leadership, decision-making, inter-personal relationships, persuasion and influence, etc...). Although I think there are tons of examples in the bible, i'm not going to discuss them here, as that is not the focus of this piece. I mentioned that quote from Atlanta '05, and the context in which it was discussed because I think it is relevant to the current debate that exists between those who are for Christian hip-hop, and those who are against it. I'm not going to get into the whole debate, but just a brief summary. 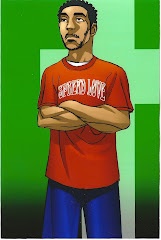 For those on the "con" side, one of the criticisms of Christian hip-hop is that some artists' use the beats of "worldly" artists, and many of these beats are associated with negative behaviors. Further, it has been noted that before satan was cast down from heaven, he specialized in music, therefore the negative messages and images that are often associated with hip-hip culture(and in other genres as well) are indicative of Satan's influence(via manipulation of one's emotions and attitudes through music). The "Pro" side on the other hand, argues that hip-hop as a culture and artform in itself is not of satan, but it (as with anything) can be used to acheive destructive or constructive ends. Further, people contend that artistic expression is a gift from God, and thus another tool for ministry and spreading the Gospel. For more information on both sides of the debate, you can check out exministries.com (con) and theambassadoronline.com (pro). 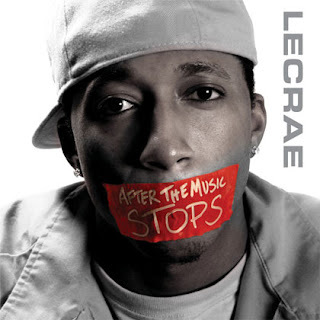 What got me thinking about this debate was a song I heard on Lecrae's Album, "After the Music Stops (2006)." His album is one of the best Christain rap albums i've ever heard, and I advise you to cop it (album info will be on the site soon). The name of the song is called "Jesus Muzik" and it sounded to me like the hook sampled the voice of a secular rap artist. I called "the music expert(my sister, lol)" and she told me that when songs are "chopped and screwed," they slow the voice down so that anyone's voice can be transformed into that slow, "draggy" sound. Despite this information, I still wondered if people would view the song and its impact differently if the song did contain a sample of a secular artist? My answer is no, or atleast they shouldn't for a couple of reasons. For one, I can atleast say for me that I listen to the music I listen to not just because of the quality of the music itself, but also because of my perceived quality of the artist as well. I believe that the artists that I listen to ( both "secular" and "sacred") are generally "good" people in a sense that I believe they make music for the betterment as opposed to the detriment of their listeners. Therefore, because I own both of Lecrae's albums and I'm aware of his sincerity and fervor in spreading the Gospel, I know that whether or not the sampled voice on the track is from a secular artist is an irrelevant issue. Further, being preoccupied with whose voice was sampled will cause me to miss the purpose of the song and the album, which is to show Christ to the lost and to strengthen us as believers to do the same. "21To those not having the law I became like one not having the law (though I am not free from God's law but am under Christ's law), so as to win those not having the law. 22To the weak I became weak, to win the weak. I have become all things to all men so that by all possible means I might save some. 23I do all this for the sake of the gospel, that I may share in its blessings." LOL, i'm not sure what to make of that comment. You feeling the video? Lecrae's Flow? A perspective on "The Passion"